Here's one way to fight off the discount competition. There are two things Mophie has always been known for: Delivering attractive mobile cases and battery packs that fit right alongside Apple's aesthetic, and making you pay a premium to own its products. That all changes with the company's next batch of mobile battery packs, which are up to 50 percent cheaper than their previous models. They're still sleek, but of course, Mophie had to make some manufacturing tweaks to lower its production costs. Now instead of being encased entirely in metal, they're sandwiched between two pieces of aluminum. As with the company's last Powerstations, they're basically just bricks for connecting your own two USB cables and charging whatever device you want. The svelte new 3,000 mAh Powerstation Mini goes for just $30, compared to $60 for the previous cheapest model (though that one came with a 4,000 mAh) battery. That's big enough to recharge most Android phones completely, and it's almost two full charges for the iPhone 6S. The 6,000 mAh Powerstation, meanwhile, sells for $50 instead of $80 like the last model. Rounding out the selection, the 10,000 mAh Powerstation XL comes in at $70, while the 20,000 mAh XXL is $100. And if you've got a newer Android phone with USB-C, you can opt for the 10,000 mAh Powerstation USB-C model for $100. If you'd rather have a built-in cable, Mophie's new Powerstation Plus line starts at $60 for the 4,000 mAh version. 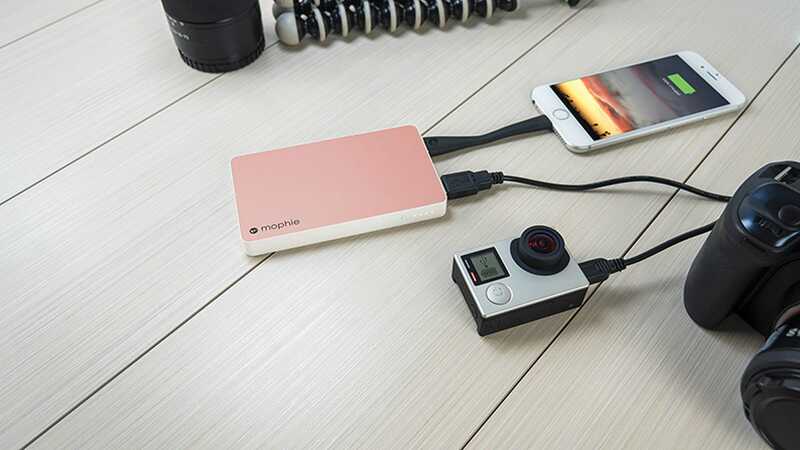 Instead of having separate models for micro-USB and Apple's Lightning connector, all of the revamped Powerstation Plus packs have swappable tips to flip between those two standards. And for people who bought Mophie's Charge Force wireless charging cases, there's a 10,000 mAh Powerstation with that technology integrated for $100 as well. It's hard to get excited about portable power packs these days, but it's heartening to see a premium brand like Mophie seriously rethinking its prices.